(Camden, NJ) – The Freeholder Board will continue their Gateway Project in Camden when construction begins Thursday on Haddon Avenue between Mt. Ephraim Avenue and Pine Street. Previously, the Camden County Department of Public Works (CCDPW) completed the reconstruction of Haddon Avenue from Vesper Boulevard to the Old White Horse Pike. The $850,550 project will be completed in three phases with work taking place from 7:00 a.m. until 3:30 p.m. daily. The first phase will necessitate the full closure of Haddon Avenue from Mt. Ephraim Avenue to Pine Street beginning Aug. 9. The roadway will be detoured for about a month. The second phase will bring the closure of Pine Street between Mt. 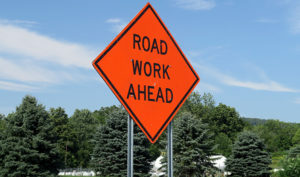 Ephraim Avenue and Haddon Avenue for approximately two weeks. The third phase will see the elimination of Mt. Ephraim Avenue between Haddon Avenue and Pine Street.